The world is a closed system, an organism called Gaia. The original trigger and only possible inflow of new energy comes from outer space. Otherwise, only a shift of resources takes place – wooden nickels from left to the right pocket. As long as Gaia uses the energy exchange to maintain its viability and to develop new diversity, nothing unnatural happens. The interaction of all elements maintains our lebensraum. A profit-making industry that exploits the common goods to create their value pollutes the system. The added value in favor of a few people is always at the expense of others. Think about the fact that the groundwater that is getting scarcer, because it is contaminated by fracking or is making money in bottled water. It disappears or becomes inedible. And suddenly we recognize the kernel of the brute of the economization of the commons. 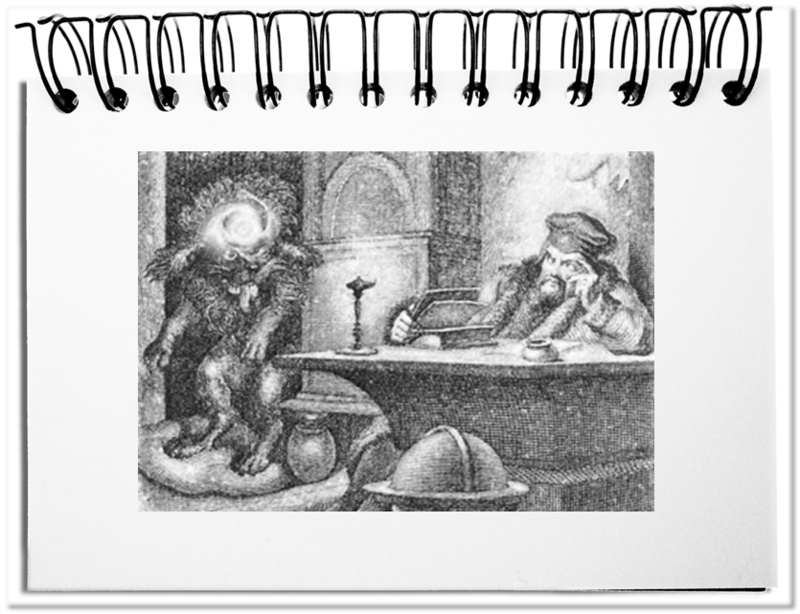 In Goethe’s Faust, Faust takes a poodle to his home that eventually turns into Mephistopheles, the devil. Faust realizes – „So that was the kernel of the brute „. This hidden in the obvious is the actual meaning. Which aspects do appear? Providing people with clean water is an honorable task, until you realize how the water gets into the bottles. Groundwater level plays a major role in this. Due to the high-performance industrial pumping, the groundwater level drops. On the one hand, the existing wells no longer reach the groundwater level, forcing citizens to buy the much more expensive bottled water. On the other hand, the greens can no longer supply themselves with the vital water, which leads to waldsterben, drought, and bad harvests and as a result to famines. The kernel of the brute is the destruction of natural resources through exaggerated exploitation of the sources. Over 40 billion gallons of bottled water are consumed every year. This is often the only available clean water. Thus, the producers contribute significantly to improving the health of many. At first glance, it is understandable that the clean water costs much more than the local, dirty water. However, when you realize that some companies are paying $ 4 for 260 thousand gallons of water but turn this water into $ 2 million in sales, it’s easy to see that $ 1,999,996 will cover more than the total cost of providing the water. The kernel of the brute is the immeasurable profit that is making a few at the expense of all those who loose their natural resource. Gaia has resources that have been built over millions of years. These include our oil reserves, the air and the water. If industrial water pumping continues to lower the groundwater level, fewer and fewer trees and plants are available to convert CO2 into important oxygen through photosynthesis. This not only endangers our health, but also leads to continuous global warming with the known consequences of climate change. The countermeasures of Gaia will regulate the root cause of this evolution, humans, so that the earth returns to a healthy state of equilibrium – without the harmful impact of mankind. The kernel of the brute is the long-term damage to our livelihoods by business concepts of reckless profiteers. Bottom line: We live in a media age, where all protagonists have put themselves in a good position. Appropriate press departments take care of the desired external image. The poodle looks good and provides with good descriptions of what is done skillfully, what great results are produced and what shiny consequences arise from it. But that does not give the public much of the truth. The kernel of the brute cannot be seen. The damage caused by this doing, the unwanted side effects and the terrible consequences are concealed. This real meaning is well described by the metaphor of the kernel of the brute. Dieser Beitrag wurde am Juli 22, 2018 von memecon in Communication, English veröffentlicht. Schlagworte: Consequence, Doing, Result, The kernel of the brute.